...and look what's right around the corner, The Museum of Applied Arts, an Art Nouveau building built between 1893 and 1896. These fellows, Ödön Lechner and Gyula Pártos were the designers. 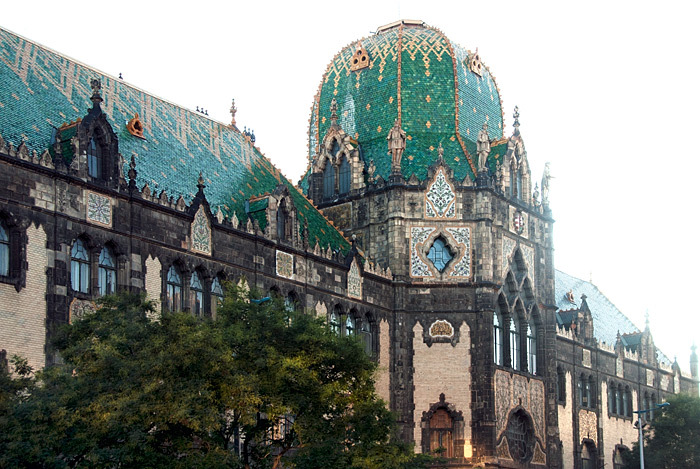 Ödön Lechner has another prominent building, the Geological Museum that I hope to see too.